Team Henry announces that they were awarded a design-bid-build contract for Marine Corps Installations East projects. Devon Henry, CEO of Team Henry Enterprises Named SBA Richmond District Office Small Business Award Person of the Year. Team Henry’s President, Devon Henry discusses the importance of safety with Dominion. 29th Annual VMSDC-MIC Awards Success! Entrepreneur of the Year (March 2011) – each year, The Metropolitan Business League hosts it’s annual Awards banquet, honoring the Entrepreneur of the Year. This year the coveted award was received by Team Henry Enterprises CEO and President, Mr. Devon Henry. ICIC 59th – For the second consecutive year, Team Henry was honored by the Initiative for Competitive Inner City (ICIC) on the IC100 list. The list recognizes the fastest growing companies located in the inner city. Last year, Team Henry was ranked 65 and moves up the list to the 59th fastest growing inner city firm. The list will be highlighted in Fortune Magazine. MVP – In 2011, Team Henry recognized the team member that went above and beyond to make Team Henry a success with the Most Valuable Player (MVP) Award. The company was delighted to recognize Brenda Buchanan, Office Manager and Tim Gabriel, Southeast Division Manager as the 2011 co-MVP. They both were instrumental in Team Henry having a banner year. TDAC – At its’ December 2011 quarterly meeting, the Transportation DBE Advisory Committee(TDAC) elected Devon Henry as the Chairman. TDAC is an advisory committee that reports the Commissioner of VDOT, Mr. Greg Whirley on issues facing the Disadvantage Business Enterprise (DBE) community. The TDAC is comprised of transportation professionals from DBE’s, prime contractors, VDOT officials, and FHWA officials. Venture Richmond – Venture Richmond – February 2012, Team Henry’s CEO & President was elected to the Board of Directors for Venture Richmond and will serve on the Executive Committee. Inc 5000 – Inc 5000 – (August 2012) For the first time, Team Henry was recognized by Inc Magazine as the 687th fastest growing privately held company. 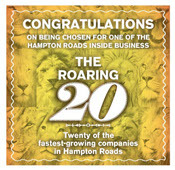 In additigon, Inc recognized Team Henry as the 9th fastest African American owned firm in the country. Hatteras Valve Turning – Hatteras Valve Turning – In the winter of 2011, the National Park Service, Headquartered at Fort Raleigh in Manteo, NC, and the Town of Nags Head advertised for sealed bids from prospective contractors with the Award for the Design/Build Contract going to Team Henry Enterprises, LLC, who chose Parsons Brinkerhoff as their engineering firm for system design, construction plans and State permitting. The new system dramatically increases fire protection capabilities at the Park, eliminates loss of potable water resources, and alleviates the constant maintenance required on the old system by Town Public Works personnel.